Customer personas, also known as buyer personas, identify the people who are most likely to buy your products. In other words, your target audience. It’s quite common to come across business owners, marketers, and other business people who have no idea what a customer persona is, yet when you study them closer, you find out that they are doing it all of the time. Only that they don’t know they are doing it. Social media holds a ton of information and knowledge. Most importantly, in this case, it holds a ton of information about your audience and the people you see as your ideal customers. Not taking advantage of this information is truly an opportunity gone to waste, because the information you can extract is highly valuable for your brand. Unfortunately, most brands aren’t thinking about customer personas when they think about social media, and therefore, the things that I’ll teach you in this article are most often ignored. But by taking advantage of the information you can extract from social media, you can create a powerful and thorough customer persona, and use that information in your marketing to generate better results. First off, let’s go through the most obvious and important question. At its core, a customer persona is a plan and strategy that defines your ideal customers. Your target audience. Because your ideal customers can vary quite a lot in behaviors, habits, gender, age, interests, income, and much more, defining one type of customers is simply not enough. Because it is only true for a small portion of businesses. Of course, there are millions of shoe types in the world, and the first step would be to specify what types of shoes you are selling. Because this will narrow down your audience size a bit, and help you get a better understanding of who you should target and what you should do to reach them. Now that you’ve identified what type of shoes they are, let’s specify your audience based on price. Will you sell the cheapest shoes on the market or focus on premium shoes with a long-lasting quality? Again, this will narrow down your target audience again, and this is what your customer persona is all about. It’s about asking question after question to yourself to better understand who it is you should be targeting, and what type of people you need to pay attention to in your marketing. All of the information you extract both from social media that we’ll focus on in this article, and the answers you get by asking yourself, will help you order the right products, adjust your pricing levels, adapt your marketing to better appeal to them, and so on. In other words, your customer personas are an important part of your marketing strategy and how you will work with it. Now, we’ve already touched upon this matter a bit so far, but the truth is that there’s more to it than that. By having made thorough and detailed customer personas, you will be able to attract and retain more customers with your marketing campaigns, long-term. Instead of wasting parts of your marketing efforts by aiming wide, you will be able to generate even better results by only aiming at the people who truly matter when you know who they are. And unfortunately, the first scenario is what many brands do. They market to a wide, faceless and unspecified audience, pouring money into marketing, not really knowing what they are aiming for, or who they want to reach. As a business, it is highly helpful and important to stay updated on the different types of customers you have, what habits they have, and most importantly, what pain points they have, so that your marketing team can present effective and effective ways to solve them. What’s more, when you have a detailed customer persona, your marketing team will be able to run different campaigns with different targeting, that is tailored to each type of customers. This will allow you to create content that is more relevant and engaging to its recipients. Online forums are super helpful when you are looking to extract information within your particular niche, and study the people more thoroughly, rather than only metrics such as their location and age. Quora and Reddit are great forums to start with, where you can find subjects around virtually anything. Subscribe to subjects related to your niche and start studying the people who write something, and what they are writing. Quite soon, you’ll be able to extract some key takeaways from the people who are writing within your space, and you’ll also be able to extract things like the language they use, the jokes they make, the interests they have and much more. When you are studying people who are only active within your particular space, you’ll gain information that very few social platforms can give you, and this, of course, allows you to create messages on social media that resonates with them perfectly, simply because you’ve crafted your messages based on the people you are trying to reach. 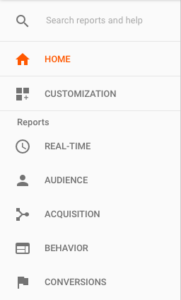 Google Analytics isn’t exactly a social media platform, however, it can be used to track your social media efforts. And, frankly, it’s simply too good to leave out of this article. Now, I won’t go through Google Analytics step-by-step in this article, because if I would, we’d be here all day. Instead, I’ll link this article that will give you everything you need to know: A 6-Step Guide To Tracking Social Media In Google Analytics. With Google, you can get information such as demographics, interests, geographical location and technology use of your audience. What’s more, Google also allows you to specify on specific audiences using your customer persona, once you’ve created one. Twitter’s Analytics will give you valuable information about your audience. 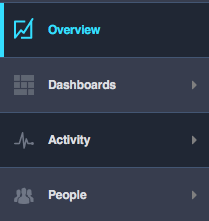 Head over to your followers tab at the top of your Analytics and you’ll see a thorough breakdown of your audience. Although Twitter’s analytics is similar, chances are that the information you can extract from Twitter’s analytics is different from Facebook’s. However, it can also be exactly similar to your Facebook audience analytics. This can depend on several things. First off. your audience might not be found on Twitter, simply because they don’t use the platform. or, it can depend on the fact that you are sharing different content and appeal to them in a better/worse way compared to Facebook. In other words, your audience might be on the respective platforms, but you are succeeding in reaching them better on one platform than the other. When you extract information from several social platforms, you can compare them and see which statistics are best aligned with each other. When you are creating your customer personas, you want them to be as specific as possible, and as with everything, the more tries and the more data you have, the more accurate your results will be. 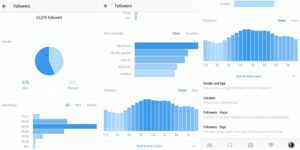 Apart from the general information about your audience on Twitter, analytics also gives you access to the primary interests of your followers. Your audience’s interests are greatly important because it means that it is something they are truly passionate about. For a brand, it means that you can use this in your customer persona and marketing strategy to create messages that resonate better with them. Last but not least, Twitter also gives you information about the people who aren’t yet following you but have seen your tweet. At first through, it might seem completely irrelevant, but on second thought, itä’s actually highly relevant. In fact, it means that you can compare the people who are currently following you, with the people who are currently following you in order to see what makes people follow you, and what messages that cause them to follow your page. When you have extracted information from Twitter’s analytics, you can start crafting your messages that align with your ideal customer’s interests, preferences, and hobbies etc. for optimal results. When you create a Facebook business page, you get access to Facebook analytics, and this is reason alone to why you should create a Facebook business account if you haven’t already. Facebook’s analytics program is quite advanced, and it offers a ton of different data related to the people who click on your ads and visit your page. It tells you everything from the basic location, gender, age, primary language etc. to more advanced insights. Just click on the section that you find most interesting and a bunch of new metrics will appear. The best part is that you can see the locations of the people who have engaged with your page, which means you can get quite some insight into where the people you appeal to most on Facebook are located. It can also give you an idea on where most of your customers are based, and what you need to do to appeal to them better in the future. Your Facebook Analytics will allow you to get a better understanding of how, what, and who of the people who interact with your posts. Ultimately, this will allow you to adjust your messaging for higher engagement on future posts, and to display your products in a more appealing way that presents the solutions your products are providing your customers. By only using the information you can extract from your Facebook Analytics, you can create customer personas that define your customer’s age, location, gender, and much more. With Facebook Analytics, you can also create highly specific ads that target your audience by the criteria you chose, but to be able to do this, you first obviously need to have a customer persona in place. Since Facebook now owns Instagram, their ad setup is exactly the same. However, this means that you also need to have your customer persona in place to be able to do this, so instead, we’re going to look at how you can use Instagram data to create one. Luckily, Instagram offers a tool that is quite helpful when it comes to creating a buyer persona. I am of course talking about Instagram Insights. Also known as Instagram analytics. Just like Facebook, you need to convert your Instagram account to a so-called business account that gives you the access to Instagram’s built-in analytics tool. Instagram Insights gives you a ton of information about your audience that is super helpful. 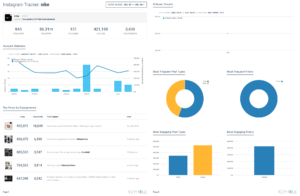 First off, it gives you detailed information about your followers, such as age, top locations, gender, and when your followers are most active. And if you have some time and patience, you can extract information about your audience on your own. People share a ton of information on their social media profiles, and if you would actually take some time to go through some of them, you would learn quite a lot, and you’d also find some similarities between the people who follow you. You might find that all of the people who follow you are fans of the bike race Tour de France, which might not be very surprising if you are selling bicycles. From that information, you can share more content about Tour De France, or even incorporate it into your ads to better appeal to your audience’s interests. If you can stay one step ahead and know things about your audience that your audience doesn’t know you know (complex sentence, right?) you can reach them in a better way that will resonate with them in the best possible way. Having a customer persona will allow you to spend your efforts on social media more wisely. With a detailed customer persona, you’ll be able to create content that resonates better with your target audience, and know how to impact the people that truly matter for your brand. With the help of the information you can extract from social media, you can create a detailed strategy that helps you achieve your marketing objectives better.